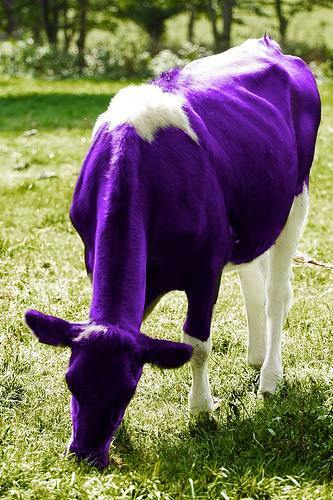 Have you ever drunk a Purple Cow? A simple recipe for a drink I call a Purple Cow has always made my boys very happy. It makes me happy, too, because the PC packs a healthy dose of fruit, and is loaded with potassium, vitamin C, calcium, and fiber for their growing bodies. 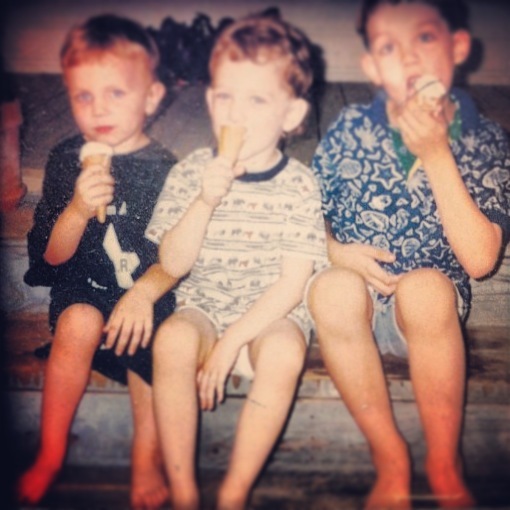 Jared, Jacob, and Justin…now they’re all in high school or college! Can’t believe it sometimes. I’ve made these for years…it’s a healthy drink (unlike the soda-based Purple Cow in restaurants) that I felt good about giving them, as the nutrients helped them fight viruses all year long. Here’s what I do…and they still love it when I wake them up with these on warm spring days! Place all ingredients in jar of blender, and blend until mixed well. Makes two small or one large Purple Cow drink. Bananas that are ripening too quickly for your liking should not be tossed; peel them and store them in a zipper freezer bag to make things like this drink or banana bread. Add other fruits for fun, flavor and nutrients, such as frozen blueberries! NEWS: Notice that there’s now a PRINT button below the copyright line on my blog; you can click it to be taken to a page that allows you to print the page with or without photos, and even select exactly what text you want to print. Enjoy! 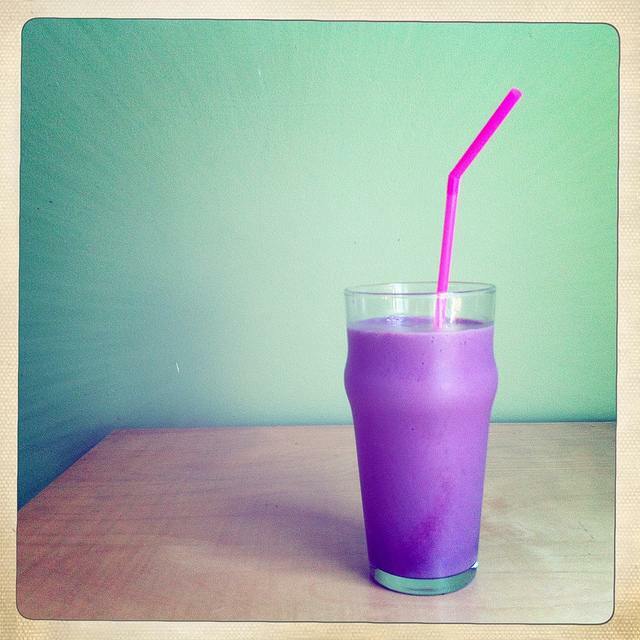 Purple cow drink image by Bethany L. King on Flickr Creative Commons.